MCC hosted the MCC Risk and Performance Management Summit in November. The two-day event received rave reviews – details about the 2019 Summit will be available soon. MCC’s Study Quality Trailblazer and Centralized Monitoring Work Groups released deliverables that are major contributions to the industry’s advancement in strategies and tools for implementing risk-based quality management and centralized monitoring programs that align with ICH E6(R2) expectations. The MCC Risk Assessment and Mitigation Management Tool v2.0 has new features that focus on analyzing risk related to critical data and process, and the Centralized Monitoring Guidance document provides insights about how organizations are implementing centralized monitoring programs. The release of the MCC Site Contracting Metrics v1.0 Toolkit marked a major milestone for MCC. The metric definitions were developed in a few months using a new proprietary approach – The Metric Kaizen Approach. The metric set includes MCC Global Start-Up Comparison Models that group countries based on how the site contracting process is impacted by country-specific regulatory approval and ethic review processes. This allows users to consider the context within which the contracting process takes place and constraints that may make it difficult to improve results. New implementation support tools such as an implementation guide and three metric selection tools (metric to data elements; data elements to metric; issue to metric mapping tools) were introduced with the metric set. The tools were so well received that similar tools will be developed for other MCC metric sets. The scope of areas covered by the Vendor Oversight Metric Toolkit expanded to include Vendor Oversight Milestone Metrics and Vendor Oversight Relationship Assessment Metrics. The set will be further expanded in 2019 to include Vendor Oversight Quality Metrics, Governance Metrics and Financial Metrics. Several metric sets were updated to version 2.0, including: eCOA, Data Management, Biostatstisitcs and Medical Writing, and Trial Master File. Looking ahead to 2019, MCC will continue to blaze new trails in the risk, quality and operations areas. The MCC Risk Assessment and Mitigation Management Tool will evolve as MCC’s Work Group explore areas of risk within processes and identify new ways to identify site and study level risks through innovative Key Risk Indicators. To further support the implementation of risk management approaches, MCC will offer an online course Fundamentals of Clinical Trial Risk Management - Retooling Risk-Based Quality Management Approaches in the Era of ICH E6(R2). Finally, MCC will reconvene the MCC Clinical Operations Work Group to review and update the Clinical Operation Metrics to ensure they align with ICH E6(R2) and risk-based monitoring. On behalf of the entire MCC team, thank you for your support and participation. We look forward to working with you in 2019. MCC members are invited to an online meeting on February 12, 2019 to learn about the cutting edge work being discussed in the MCC’s Central Lab Metrics Work Group and the opportunity to expand the discussion into the Imaging Metrics Work Group. The Imaging Work Group will hold one-hour virtual meetings on a monthly basis. This meeting will be of interest to people who manage Imaging Core Lab services, Imaging data and/or quality risk management, including risk management, centralized monitoring and/or risk-based monitoring. Participating in this MCC work group is a great opportunity to share your experience with other clinical trial professionals across the industry and to help shape the industry approach to use of imaging data for quality risk management in the future. MCC members interested in participating in the Imaging Work Group meeting can click here to register. MCC Executive Director Linda Sullivan and MCC Ambassador Keith Dorricott look forward to participating in the Summit for Clinical-Ops Executives (SCOPE) in Orlando, FL, February 18-21. Linda will moderate an interactive breakout discussion, Monitoring and Quality - Vendor Performance Metrics and KPIs, on Tuesday, February 19 at 4:10 pm, and participate as a panelist during the session, Ensuring Harmony Between all Stakeholders – Sponsors, CROs and Site – When Site Sourcing, on Wednesday, February 20 at 8:55 am. Contact Linda or Keith if you would like to set up a time to meet during the summit. The Central Lab Work Group announced that the spreadsheet with 30 metrics that have been drafted from database set-up through to final data transfer are ready for review, with 13 of the metrics identified as possible Key Risk Indicators (KRIs). The proposed study and site-level KRIs use the data collected by central labs to help assess risk per ICH E6(R2) section 5.18.3. The spreadsheet includes detailed definitions of each KRI metric and how they can be used, a glossary and a process map showing which part of the process the metrics are focused on. Additionally, the work group has reviewed metric selection tools developed in other metric sets and decided to draft those for the Central Lab set, too. The tools include the matrices showing recommended metrics depending on specific issues, required data elements based on metrics selected, and a worksheet for use between a sponsor/CRO and service provider to agree the metrics to be tracked. The seven new metrics that have been added to the set are also open for public consultation. MCC member and non-member organizations can review and provide feedback. Respondents who complete the survey and provide their details will receive an executive summary of the results. Please respond by February 12, 2019. For more information, contact work group facilitator and MCC Ambassador Keith Dorricott. Representatives from more than 15 organizations collaborated to finalize the Key Performance Questions for the Vendor Oversight Metrics Toolkit. During the January work group meeting, one member shared their recent experience of an inspection that focused on CRO oversight. The work group discussed how metrics can be used to help show a trend of improvement (or otherwise) over time. The draft set of 15 quality metrics are available for download for MCC member organizations to review. Please provide your feedback to group facilitator and MCC Ambassador Keith Dorricott by January 31, 2019. The Vendor Oversight Work Group will review all feedback at the February meeting. MCC is seeking feedback from both MCC members and non-members to seven newly developed metrics that have been added to the Central Lab metric set. The one-page survey will seek input on if the new metrics are valuable, used by organizations today and how easy they are to calculate. Respondents who complete the survey and provide their details will receive an executive summary of the results. All feedback will be confidential. Please respond by February 12, 2019. Thank you for your participation! MCC welcomes the following new members and thanks those for their continued membership. The MCC Data Management, Biostatistics & Medical Writing Metrics v2.0 was released in August 2018 with a significant update to the metrics. As other work groups have focused on the implementation of Quality Risk Management in ICH E6(R2), possible gaps in the Data Management metrics have been identified. During the meeting on January 22, 2019, participants will review the approach of those work groups, in particular Central Labs, and consider whether there are gaps in their metric set. The work group will explore metrics that could act as Key Risk Indicators – indicators of risk at site or study level – that could be used to help focus efforts to averting issues in data integrity and/or subject safety. MCC members can register for the meeting by logging into the MCC site. Contact group facilitator and MCC Ambassador Keith Dorricott for more information about the MCC Data Management & Biostatistics Work Group. Meetings are open to participants from MCC member organizations. To register for a work group meeting or for a detailed list of meeting dates and times, please log into the member portal or contact Customer Service for assistance. Not a member? Join today! *Meeting deviates from regularly scheduled frequency. These newly created meetings will be held on a quarterly basis to provide MCC members the opportunity to ask questions and share experiences related to implementing specific metric sets or tools. MCC staff looks forward to having good conversations with you in 2019. 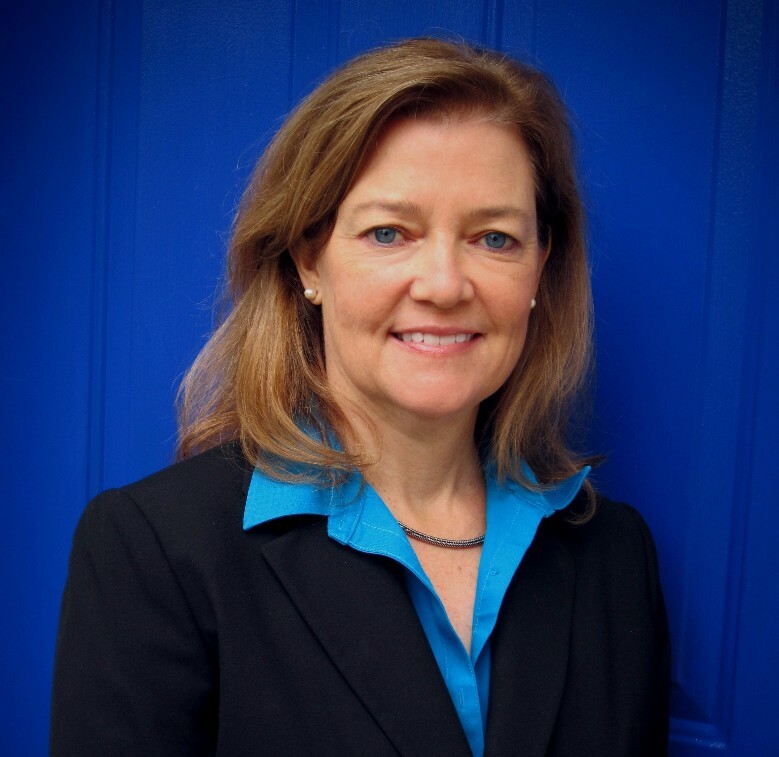 MCC Executive Director Linda Sullivan will moderate The A-Z of Risk-Based Monitoring (RBM): Strategies for the Future during the invitation-only Evolution Summit February 24-26, 2019 in Rancho Mirage, CA. Click here for more information on the 2019 Spring Evolution Summit. Q: Our company has a goal of speeding up clinical research and we’ve been developing our approach to metrics with this outcome in mind. We have collected metrics looking at how long different parts of the process take but a consultant (an MCC Ambassador) recommended we consider other metric types too – in particular quality. Quality is critical, of course, but our goal is to make clinical trials faster. Do you think we should have metrics for quality too? A: Your MCC Ambassador is right to caution you against focusing solely on time-based measures. The key to reducing timelines is to remove non-value added work. In other words, avoid protocol amendments, rework, retraining, rescues sites, etc. This is the reason that MCC always recommends a combination of time, cost/efficiency and quality metric types. If you focus on just one, such as cycle time in this case, you may have unexpected consequences on cost and/or quality. For example, when reducing the cycle time to reach a final protocol, you might inadvertently discourage the team from taking the proper time to review the protocol and ensure the best possible quality before study start. This could lead to quality problems, namely avoidable amendments, later in the study with a much larger impact on overall cycle time and cost. The ICH addendum, ICH E6(R2) section 5.0, is very much trying to get the industry to build in quality by design rather than rushing to get started resulting in errors that then need correcting. There are a number of academic studies looking at the costs of poor quality such as the costs of avoidable amendments, non-core procedures, low enrolling sites, subject withdrawals etc. MCC’s Study Quality Trailblazer Work Group developed a Cost of Poor Quality Tool that brings together the available data on these and other costs. It allows you to estimate the costs of quality issues and can be used as a balance to the focus on cycle time. In addition to the Cost of Poor Quality Tool, MCC metrics always include a range of metric types – not just metrics based on time. We recommend implementing more than one metric type to help guard against a sub-optimized outcome. 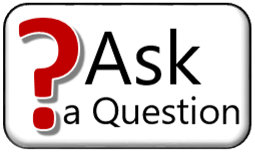 Additional Ask the Experts postings are available on the MCC website. Is Your Organization Keeping Up with Industry Changes? Changes in the industry are forcing organizations to do more than just collect and enter data – they have to understand what the data is saying. To be ICH E6(R2) compliant, organizations need to change the way their trials are conducted and reported, making the need for metric knowledge more important than ever. MCC’s eLearning Education Program is the tool every organization needs to give employees that needed knowledge. Access to MCC metric sets, tools and other assets are limited to employees of MCC member organizations. Please visit the MCC website or email MCC Membership Director Terry Holland for membership information. If you work for a MCC member organization, you are welcome to set up an individual user account to take advantage of the benefits MCC Membership offers. Click HERE to start the process. Join the MCC LinkedIn Group to learn about industry performance metrics and stay informed of new developments.